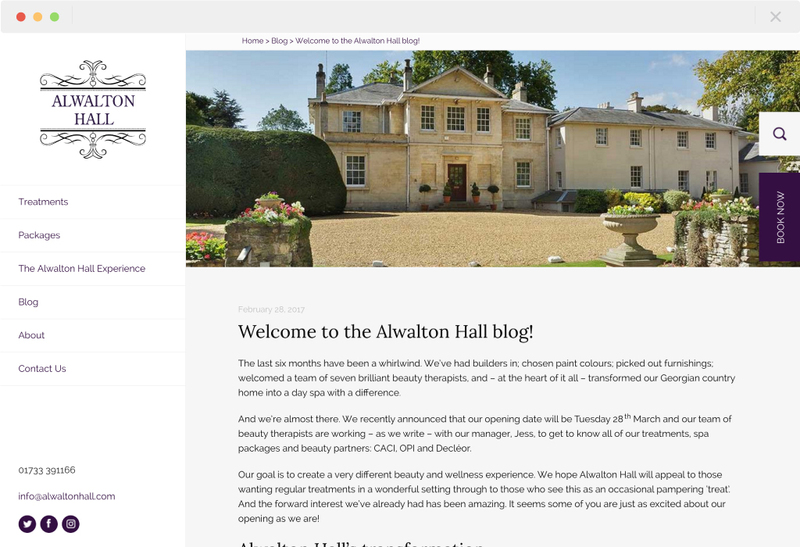 Alwalton Hall is a fantastic new business in an 18th century house on the outskirts of Peterborough, offering beauty treatments, pampering sessions and day spa experiences. 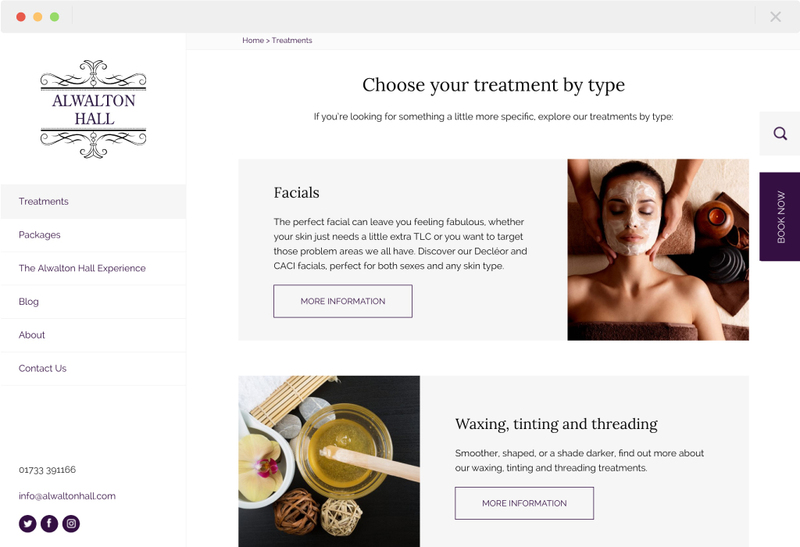 Their new website needed to showcase the extraordinary range of expert treatments available, and reveal the grandeur of the surroundings and unique experience on offer. 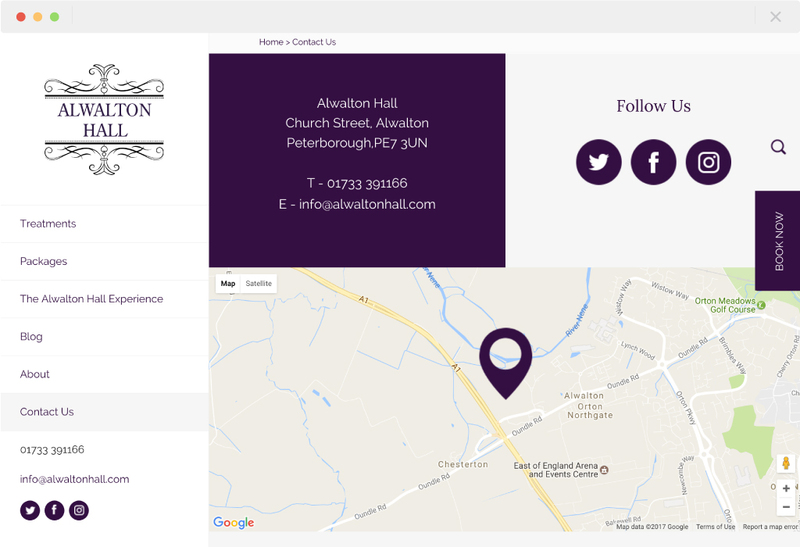 We worked with Media Matters who devised a bespoke digital marketing plan for the business, including keyword research and SEO strategy, as well as copywriting. This allowed us to create an SEO-optimised build along with a compelling and easy-to-use website. 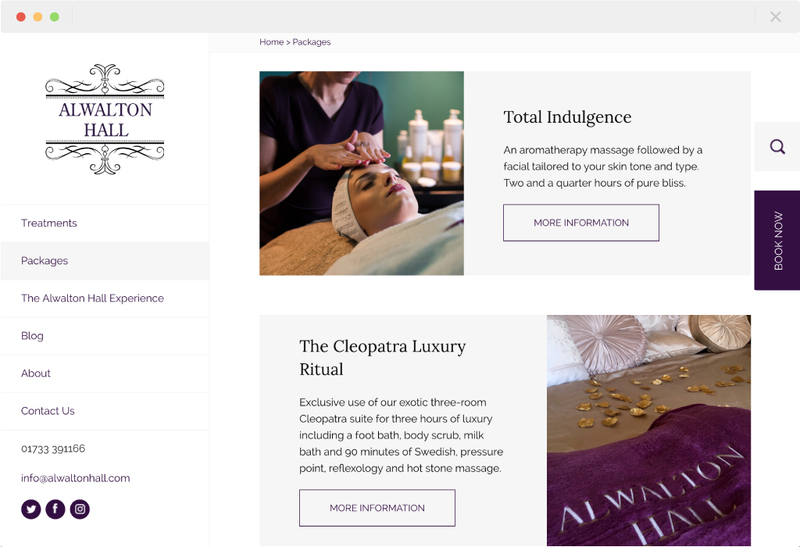 Customised admin tools for content entry allow for a bespoke design to be created by the client; a blog allows for ongoing digital marketing, and online booking is handled by an offline provider of spa-booking software. 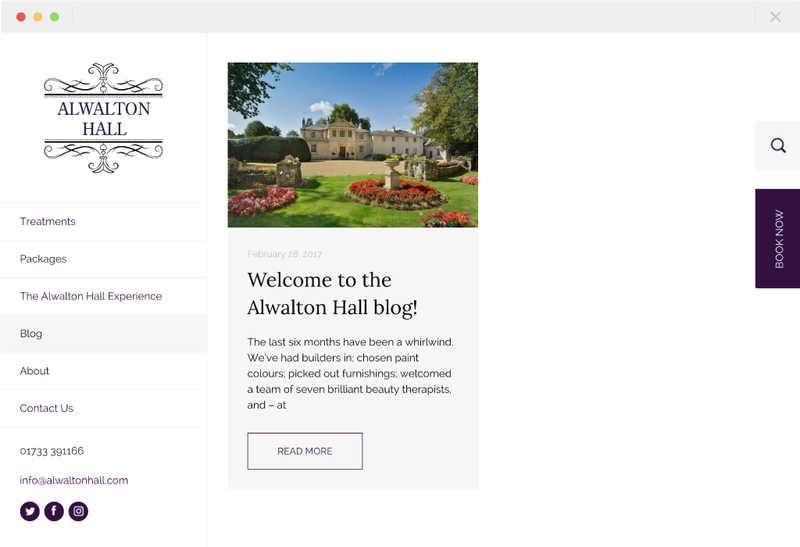 Want a beautiful WordPress website?